Geforce GT 740 2 Gyg with Optiplex 755 SFF??? And if anyone uses this card, what can I expect of it with a game like War Thunder? RE: Geforce GT 740 2 Gyg with Optiplex 755 SFF??? War Thunder system requirements are much higher than this system can do. SFF systems power supply is too small and the slot can only support a 25w card. The Desktop DOES NOT have a 305W power supply. You are Limited to 25W not 75W. The riser does not change this. A radeon 6450 is 31Watts. Radeon 6570 is 60 Watts. Using cards that take 75W can lead to power supply failure and total death of RAM, CPU, Hard Drive when the Power supply Fails overvoltage and Fries everything. Even if you get a Tower You CANNOT USE Double wide cards because they don't Physically fit. 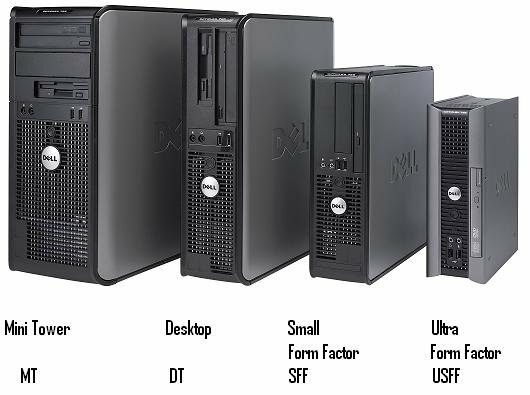 I you want to use better cards get a dell precision 380 or XPS 400 or XPS 410 etc. They can use a RADEON 7770 with stock 375w power supply. 25 W is the specification. Its written on the motherboard AND on the specifications for the Desktop. 75 W is the specification. Its written on the motherboard AND on the specifications for the Minitower.